Tales of Mommyhood: "Warm Your Corn" with Popcorn, Indiana! "Warm Your Corn" with Popcorn, Indiana! Popcorn is, and always has been, one of my favourite snacks. All the buttery, salty goodness - so delicious! Nothing like cuddling on the couch to watch a movie and snacking on some yummy popcorn. I generally make my own, but when I was given the chance to try the Popcorn, Indiana Original Movie Theater Popcorn I decided to test it out. 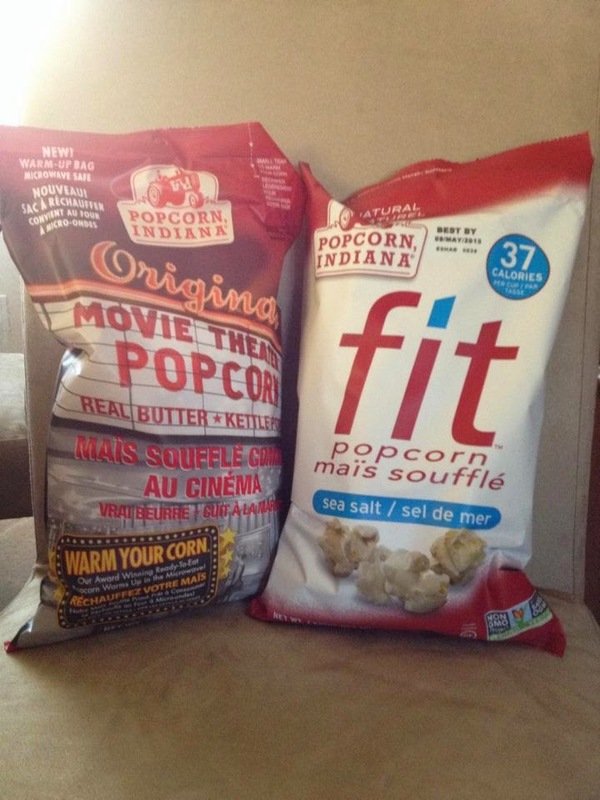 Unlike traditional microwave popcorn, Popcorn, Indiana uses non-gmo corn, without additives or preservatives. It is free from colourings and artificial flavours. The Original Movie Theater Popcorn now comes in a new bag that is microwavable safe - which means that now you can have your popcorn served warm, straight from the bag! All you do is cut a slit in the bag, place in the microwave for approximately 50 seconds and it's ready to snack on! 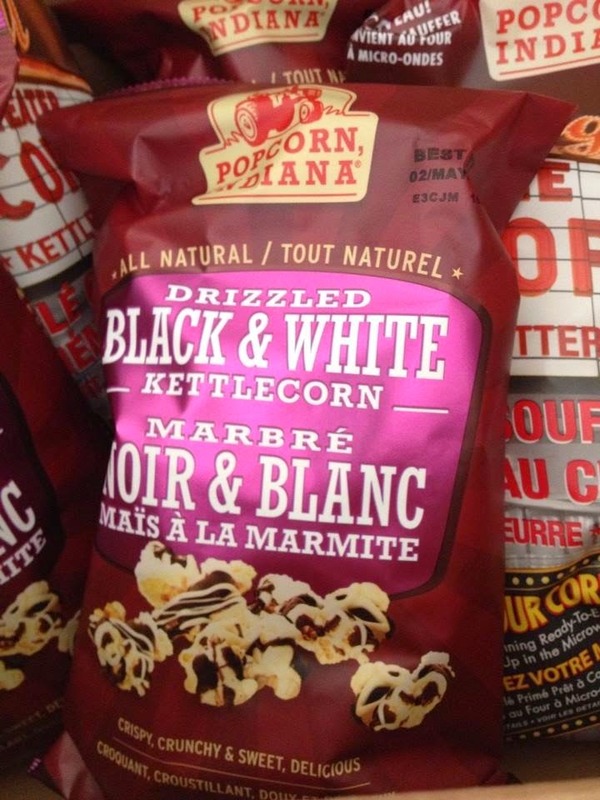 We were given a few different flavours to try, Original Movie Theater Popcorn, FIT Popcorn in Sea Salt Flavour, and the Drizzled Black & White Kettlecorn. The FIT is a great option for those that are watching what they eat, with less than 40 calories per serving, and it still tastes great! The Original Movie Theater Popcorn is the kids and my favourite, warmed up it was just like being at the movies! I also really enjoyed the Drizzled Black & White - a handful was just enough to satisfy any sweet craving I was having! What is your favourite way to eat popcorn? Do you have a favourite flavour?